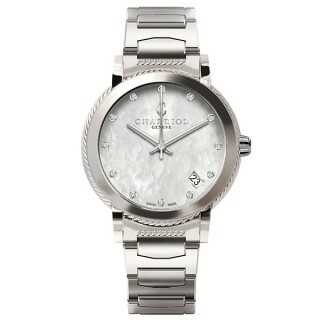 26mm steel case, 48 white diamonds 0.27Cts bezel, white mother of pearl dial 12 diamonds 0.06Cts, steel bracelet, Swiss movement. 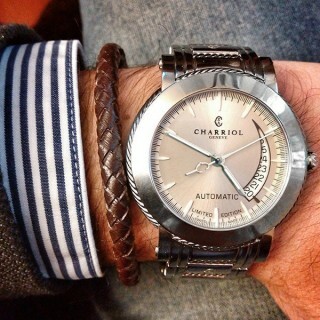 Swiss jeweler-watchmaker CHARRIOL is proud to introduce a new generation of the PARISII watches. 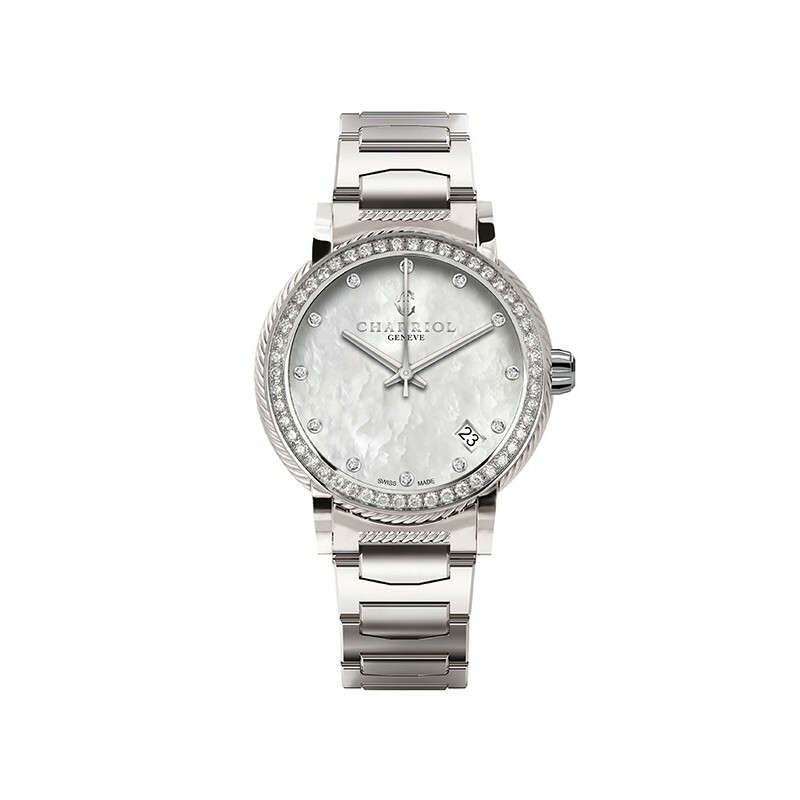 With slimmer bezels, new bracelets and reworked dials, the latest additions to this popular line are more refined and that ever showcased the brand’s renowned craftsmanship with style and confidence. 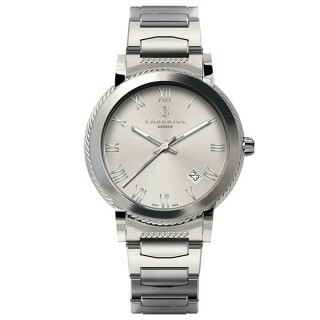 The highlight of the collection is a sporty new stainless steel edition with a chic blue dial. 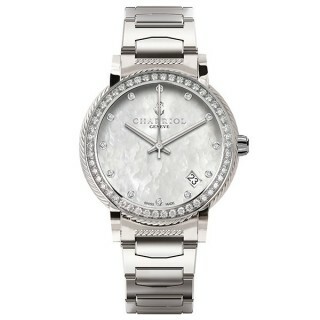 With a diamond-encrusted bezel, this spectacular PARISII watch will transport you to the City of Light. Inspired by Paris - the City of Light - this stylish Swiss-made quartz watch will add an instant dash of glamorous luxe to any outfit. A Charriol design through and through, this modern classic features a fine cable motif encircling the slimline bezel, encrusted with 48 diamonds. Sleek, elegant and feminine, it is crafted in stainless steel with a white mother-of-pearl dial and a bracelet strap. A sophisticated timepiece, full of Parisian joie de vivre. Sure to add instant sophistication to any work or leisure look. Opt for extra glamour by simply pairing it with your favorite Charriol bangles to create an on-trend stacked look.